One of the main reasons for students dropping out of university is because they didn’t research beforehand and chose either the wrong course or wrong place to study. Whether you have definitely decided on Higher Education or maybe just toying with the idea. These links will help you find the right course at the right university. What is the Russell Group? The Russell Group universities are essentially a collection of universities who have formed themselves into a type of ‘club’. The group was set up in 1994 after a period of expansion in the UK university sector. The driving force was always excellence in academic research and teaching, so it’s very much research rather than industry-driven. Includes official data on each university and college’s satisfaction scores in the National Student Survey, jobs and salaries after study and other key information for prospective students. Select a Uni and find out about accommodation costs, night life, music, keeping safe, sport & leisure, eating out, shopping – they all help to make your experience unique. How do I apply to University through UCAS? You need to register and set up an online account. 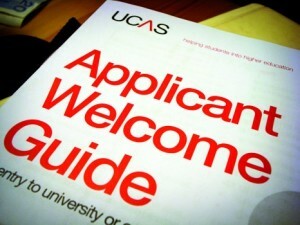 Click on Apply on the UCAS homepage or go to http://www.ucas.com/apply. Enter your personal details, like your name, address and date of birth. The registration process generates your username and you create your own password, which you use to log in to Apply. If you apply after your course application deadline you are not guaranteed to be considered by the universities or colleges. You can contact the universities and colleges direct to check if they will consider you before submitting your application. Speak to a Uni, is the go to website for university open days, visits and fairs! Listing over 1,000 higher education events, you can search by subject, location and date. Don’t forget to take advantage of the helpful articles, supporting you with tips and advice to make the most of university open days.